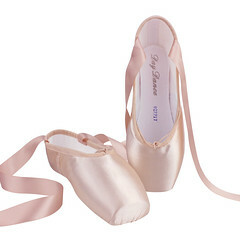 ← Can The Right Pointe Shoes Elevate Your Status In The Dance World? 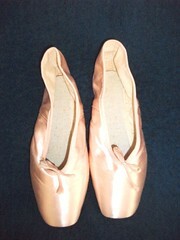 Just a few posts back, I featured a beautiful yet mysterious pair of Russian-made pointe shoes with the model name Galina. You can revisit the post here. 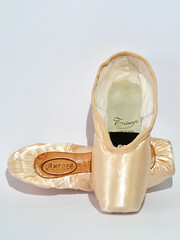 Much to my surprise, I have found a new pointe shoe model by the very same name by a company that I have never heard of: Adara. Before I started this post, I double-checked to make sure there were no other similarities between the two shoe models other than their names. I am convinced that we are looking at two very different shoes who both happen to honor Galina Ulanova, one of the most revered dancers of all time. Adara Dancewear- Where Have You Been Hiding? I love that new companies and exciting new shoe options have increased over the last year or so. As a blogger, new models give me something to blog about and for dancers, more options means a better chance of finding the perfect shoe. At first, I was under the impression that The Adara Dancewear Company was a fresh, new upstart business. After browsing through the company website, I learned that Adara is large enough to have many retail locations and /or retail suppliers across England, France and even Hong Kong and Switzerland. According to their official contact us page, the company is located in Newcastle upon Tyne, England which sounds romantically European to my American ears. I was disappointed to see that their about us page link did not work. Maybe there is a reason for that, who knows? 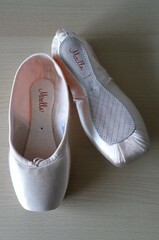 Adara does not deal with the public directly, but only with dance supply retailers. No wonder I have never heard this brand name mentioned in the United States before. There are no suppliers in the U.S. or Canada or anywhere in this area of the globe that I know of. According to the description in the product catalog, the Galina is a lightweight shoe that comes with a medium-strength full shank. The toe box is slightly tapered and has a generous balancing platform. 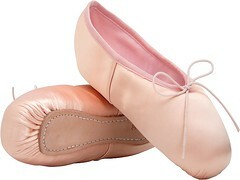 This model comes with a bit of built-in padding at the tip of the toe box. It has a u-shaped vamp and a medium profile. The color is pale peach. Although I did try to inquire about the Galina through their Facebook page, I never received a response from the company about the origins of their factory production. 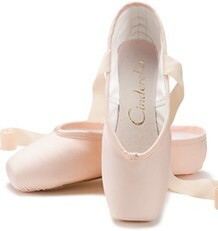 Until I find out otherwise, I will categorize them as a British pointe shoe brand. 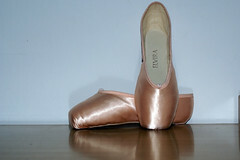 You can learn more about the Galina pointe shoe in the product catalog on their official website, Adara Dancewear. Update 2/2015- Sadly, after testing both links, I found that both are now invalid. For now, I will have to move the Adara link off the sidebar. 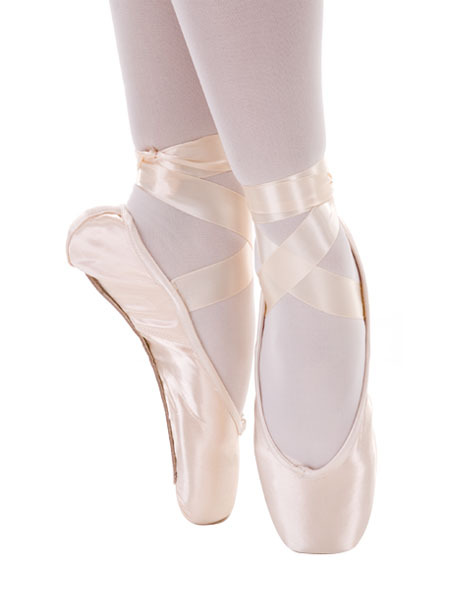 This entry was posted in British Brands, New Models 2013 and tagged Adara Galina pointe shoes, Adara pointe shoes, new pointe shoe models 2013. Bookmark the permalink.